So, on Thursday night we put Sophie to bed as usual. However later on that night, she was still awake, messing around and shortly after we heard a big thud and we instantly knew she had managed to throw herself out of her cot. Something we didn't think would happen for a while yet since she's only 19 months! 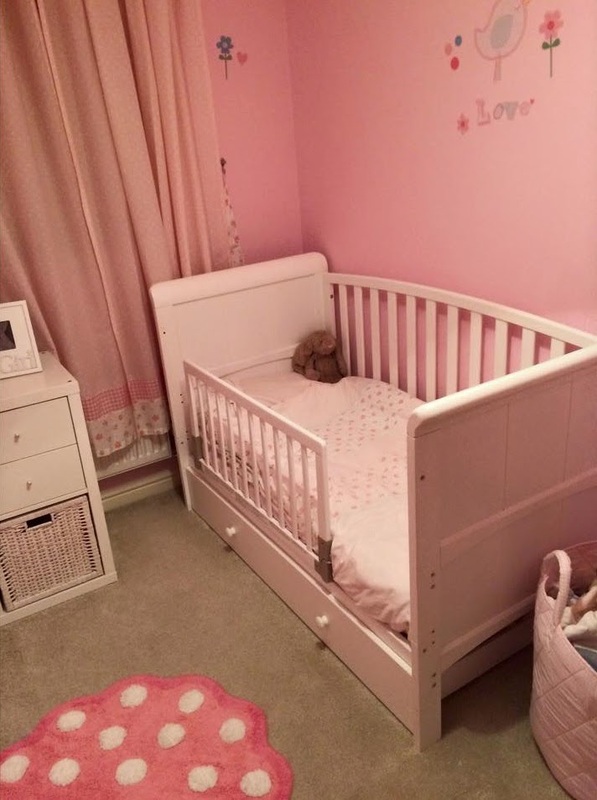 Now we didn't think she would do it again in a hurry - considering it gave her a big shock, but we decided it wasn't worth the risk and this weekend we changed her cot to a toddler bed. It was her first night in her big girls bed last night and she slept really well! She loved getting in and out by herself. She needed reassurance though, so one of us had to stay with her until she fell asleep but then she slept through the night! Hopefully this will continue.. Fingers crossed!